The Italian band Rev Rev Rev will release a new album on Fuzz Club wich will be called ‘Kykeon’ and will be released later this year. 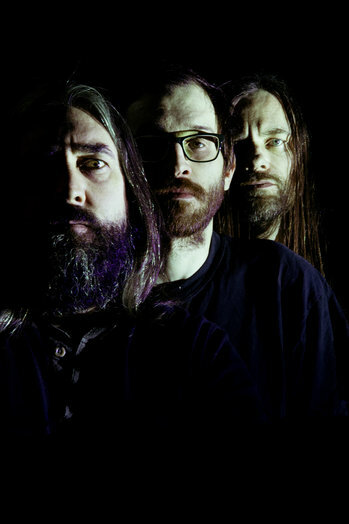 ‘Clutching the Blade’ is the first track they shared and is filled with fuzz and noise. A great track wich promises a good album! Somewhere at the end of the 80 Terminal Cheesecake was born, bringing destructive industrial psych sounds into our world. The noiserocking band just announced their new album ‘Le Sacre Du Lievre’ on Box Records wich will be released May 10. The first track they shared is called ‘V.D.K. Neck’ and is an absolute psychedelic noise fest. The Mon is the solo project by Urlo from Uffomammut. The project is a mix between ambient, doom and psychedelic soundscapes. The album is a collection of songs made between December 2016 and January 2018. “Doppelleben” is released November 8 through Supernatural Cat, the label by member of Ufomammut and the Malleus Rock Art Collective. The instrumental psychedelic rockers The Re-Stoned are back with with a new studio album ‘Stories of the astral lizard’. With Seven tracks of mesmerizing psychedelic music The Re-Stoned have created a true beauty. Drift away on their new tunes. The New Jersey band SMOCK will release a brand new EP called Interstellar Nobody on June 16th. in the meantime we can check a vid and a single from their upcoming EP. This is absolutely wild Fuzzrock that needs to enter your ears. Great promising stuff, can’t wait for the new EP.